Concrete surfaces can remove sulfur dioxide, a major contributor to air pollution, from the air, new research suggests. The findings could be a significant step toward the practice of using waste concrete to minimize air pollution. According to the World Health Organization, as many as seven million premature deaths worldwide may be linked to poor air quality and pollution. 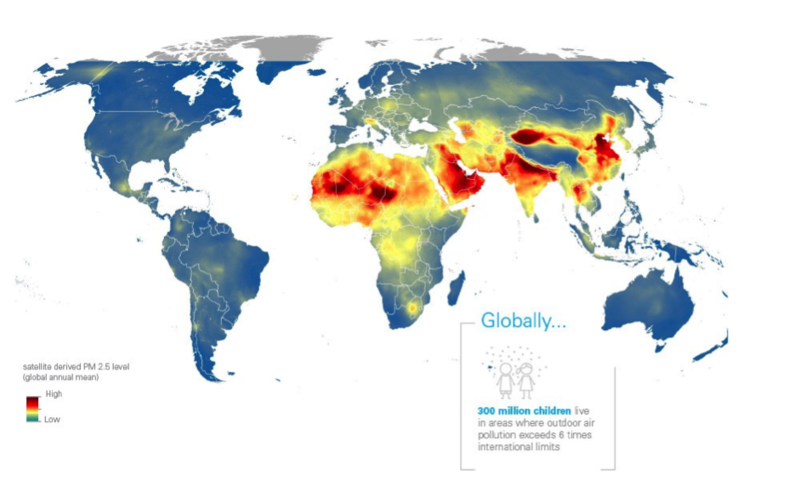 Sulfur dioxide emissions are among the most common pollutants into the air globally, with power plants emitting the most sulfur dioxide. Cement kilns also produce approximately 20 percent of all sulfur dioxide industrial emissions. “Even though producing concrete causes air pollution, concrete buildings in urban areas can serve as a kind of sponge adsorbing sulfur dioxide to a high level,” explains Alex Orlov, associate professor of materials science and chemical engineering in the College of Engineering and Applied Sciences at Stony Brook University. “Our findings open up the possibility that waste concrete coming from building demolitions can be used to adsorb these pollutants,” Orlov says. Orlov cautions that the capacity for concrete to adsorb pollutants diminishes over time as the material ages. Crushing concrete, however, can expose new surfaces and restore its pollution removing properties. The researchers used various cement and cement-based building materials to conduct their experiments. They employed Diffuse Reflectance Infrared Fourier Transform Spectroscopy (DRIFTS) and X-ray absorption Near Edge Spectroscopy (XANES) to identify the levels of sulfur dioxide adsorption on the materials. Experiments were conducted at Stony Brook University, Brookhaven National Laboratory’s National Synchrotron Light Source and Center for Functional Nanomaterials, and the National University of Singapore. Orlov is a faculty member of Stony Brook’s Consortium for Inter-Disciplinary Environmental Research. Additional coauthors of the paper are from Stony Brook University and the National University of Singapore.